NO. 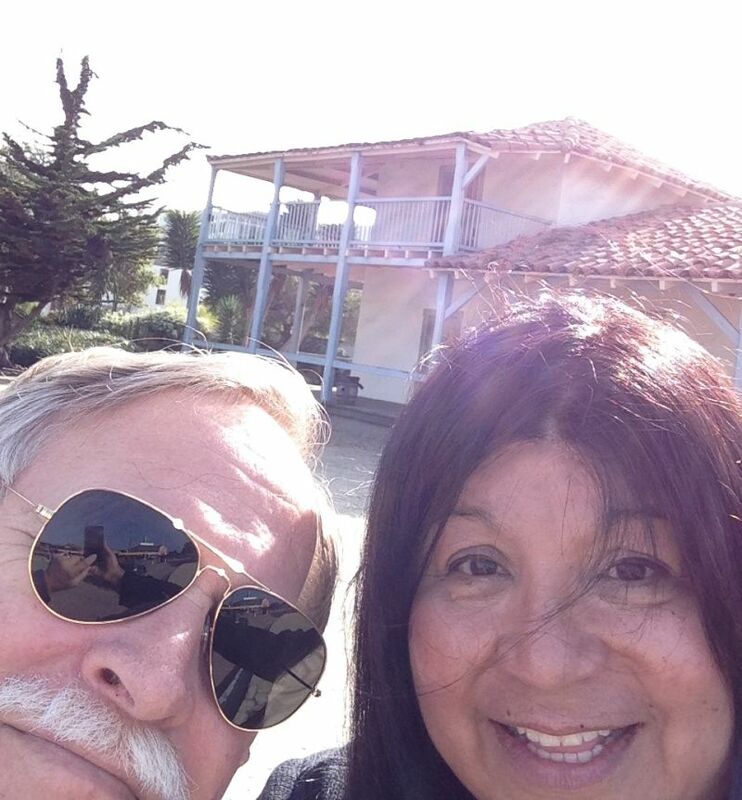 1 CUSTOM HOUSE - Monterey, Monterey County. On winning its independence from Spain in 1821, Mexico repealed the Spanish laws forbidding foreign trade and the California hide and tallow trade soon developed with New England. 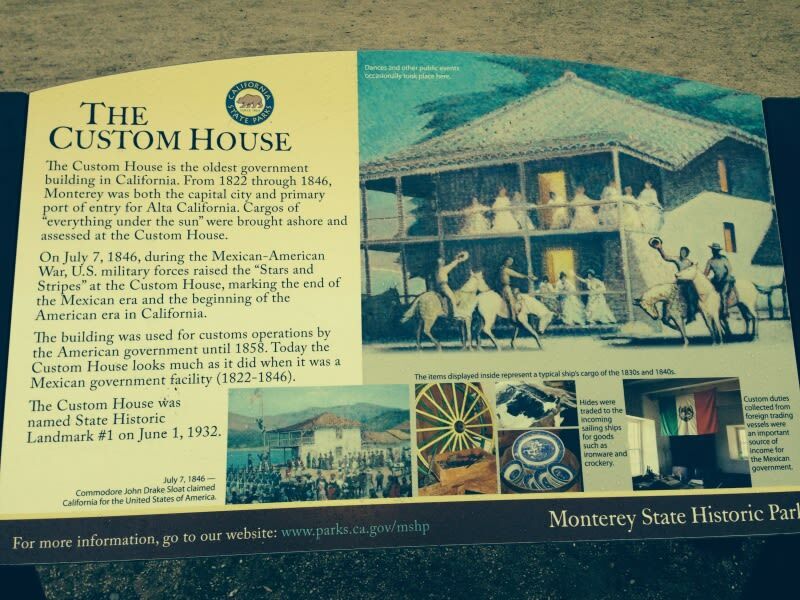 The Mexican Government erected the Custom House at Monterey, then the capital of Mexican California, in 1827, and until 1845, this was the only custom house north of Mexico. 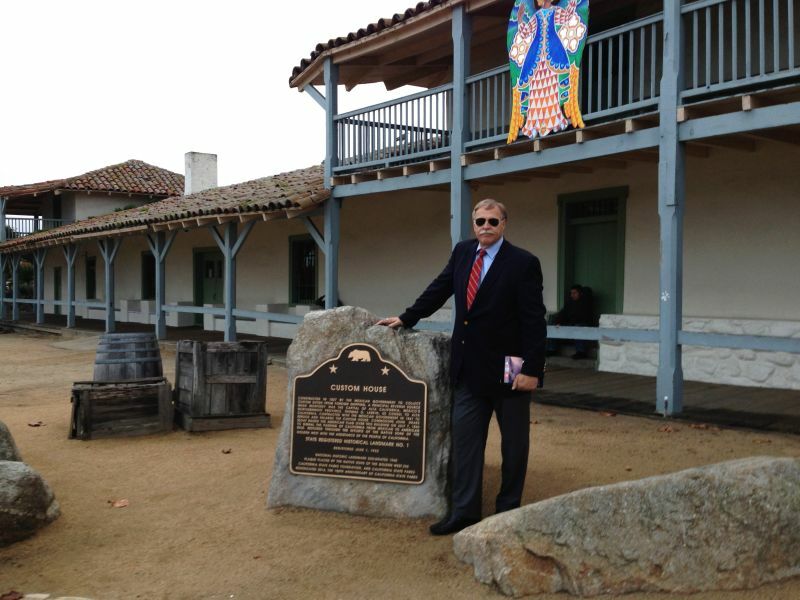 It was here on July 7, 1846 Commodore John D. Sloat, commander of the U.S. Pacific squadron, first raised the American flag and officially proclaimed California to be a part of the United States. 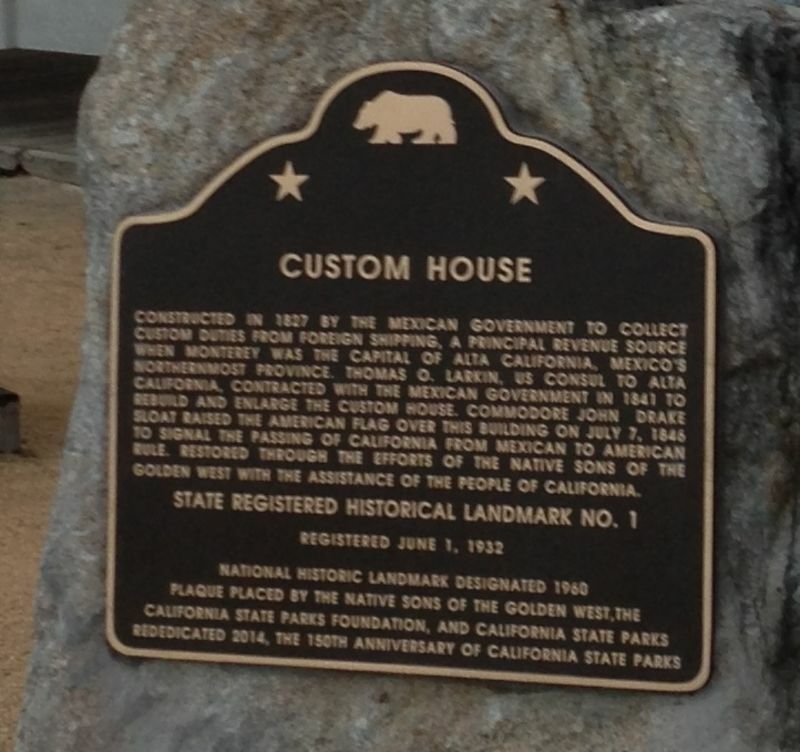 In 2014, a State plaque was installed in front of the Custom House.